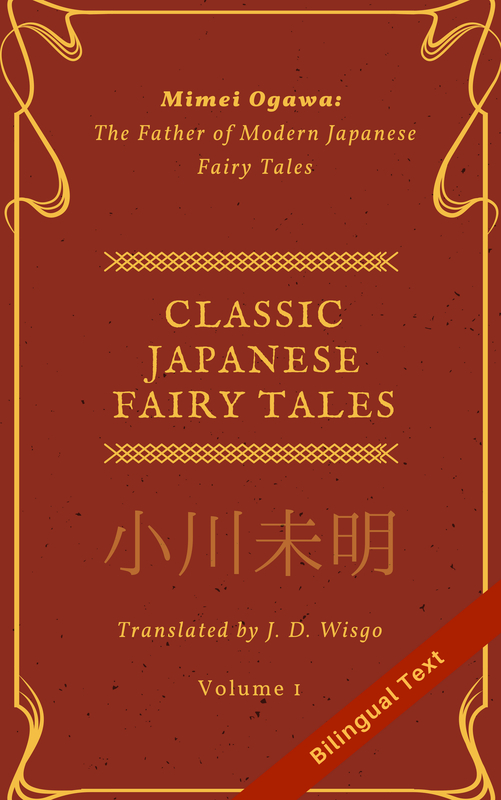 This is my translation of the 4rd and final chapter of the second story “Starfollower” (星を辿る人) of the fantasy work “Final Days of Summer” (残夏) by Masaki Hashiba (ハシバ柾). I’ve gotten permission from the author to translate it and put it on my blog. The original work was published online not in chapters, but as one onely`ong entry with some breaks. You can see “Starfollower” in its original Japanese in its entirety here. As of this posting, the next story in the series has not been written by the author. He has told me he is working on some other longer series that take much of his time, but would like to get to this eventually. If you want to see more of this, please feel free to leave a comment and I will convey it to him. Other way you can express your desire to read more of this is to chime in on this poll of what to translate. A human had thrown himself into the ocean for the sake of the dolphins without any consideration of the dangers involved. He had believed in their tales, waited for the stars together with them. He had even made a promise to see them once more. After listening dumbfounded to the dolphin’s story, a newfound understanding transforms the whale’s expression to something beyond words. Why would the dolphin attempt to traverse a path so dangerous that he might lose his self-awareness after being fortunate enough to reach the ocean floor with it still intact? To make things worse, the chance of him being to able to make good on his promise is practically zero. Even assuming he is able to return to the Earth, he will be greeted there by a chaotic jumble of life. Being reborn on Earth would require him to struggle against fate as a living being, just as he had in his previous life. And having once tasted the ultimate tranquility of the ocean, his torment would certainly be unimaginable. The dolphin stares down quietly at the plain-looking shell upon the sand. The dolphin’s voice lacks even a hint of hesitation; his heart is set wholly on the tiny glimmer of a chance he has been given. A shell whose grey color closely resembles the dolphin’s own skin–the very shell that a certain human had chosen for him as the most beautiful. From among the countless egg sacks before him, could he truly have found the one protecting that shell? While he has no good reason to know he is right, what’s wrong with believing in miracles? If he is wrong, it’s all over; so he keeps wishing for the best. The whale mumbles this softly. From his tone it is clear he is not criticizing the dolphin. Faint multicolored rays of light escape from the whale’s mouth. Rainbow colored motes spew from the whale’s mouth, not spreading out but rather falling straight down to the ground as if heavier than they appear. The whale lowers his gaze dejectedly to the sand, unable to look the dolphin in the eye for the first time since they met. The whale can no longer hide it from himself. The real reason he wants to keep the dolphin here, despite his growing skepticism about the Moon, is not for the dolphin’s sake, but for his own–his fear of being left at the bottom of the ocean here, all alone. Terrible feelings of anxiety and impatience had developed in the process of spending far too much time for a self-aware soul to bear–the whale had given these the name boredom and detested them above all else. But the warmth he had felt in his hours with the dolphin, far beyond simply killing time, had taught him something precious: what he had feared all along was something very different than boredom. The whale no knows his logic is shameless, even pitiful. He no longer feels he has the right to blame the dolphin for anything. Nor can he beg the dolphin to stay here and keep him company for no one’s sake but his own. Even if he could, it is hopeless; the dolphins gaze never strays from some point far in the distance, even for an instant. When you return here, come and see me, no matter what. As he speaks, there is something refreshing in the whale’s expression. Even if the whale were to part, reluctantly, from the Mother Moon, he would simply continue floating here on the bottom of the ocean. To him the moon’s brilliance, flooding every inch of the sea, is no longer anything but suffocating. He isn’t even sure how long he can wait for a friend who may or may not return someday. But, I’ll never try to hold you back, Mr. Dolphin. After all…we’ll meet again, someday. I truly believe that. The whale’s words are nothing more, nothing less than the very promise that ties the dolphin to the Earth. Having once said these same words himself, the dolphin intuitively understands the whale’s feelings and the reason he says these words, a daring attempt to mimic an old promise. But if so, there is little else to say. Just one more thing. The same promise from that day long ago is now repeated yet again, in the deep, deep ocean. At the same moment, the grey shell begins to emit a nearly blinding light. It extends out in a long band from the inside of the cave like a rainbow, stretching out towards the exit. The band intertwines with the dolphin, illuminating his body in prismatic shades. Together, the dolphin and whale follow the growing band of light. Somehow they are certain this is the right way. Desperately tracing the path of the light, the whale calls out softly to the dolphin. I guess that means you have no name. The whale chuckles at the irony. The whale doesn’t get to see the face of the dolphin–Nameless–one last time. He has the feeling the dolphin says something more, but by that time the whale has already passed him by, left the cave, and is swimming along the ocean floor. There is something else he must do. To have any chance of seeing his friend once more, the whale must distract the great power that will try to impede his way back to Earth. The whale, no longer afraid of the Moon, releases a dark spray. The black cloud covers the moon, obstructing its vision. The whale mutters this to nobody in particular. A point of light streams through space towards Earth, moving from the ocean bottom–a colorless place at the end of the world–to the night sky. The whale stares, unmoving, until the receding comet fades out completely. He wants to see off the passage, the future, of a soul who had rejected the Queen’s helping hand. Goodbye, Nameless. Give my regards to the humans. Aw, it’s over? That is a shame. Hopefully he’ll return to it some day. Thank you for your excellent work on this series! Oh, that would be nice! Thanks! Very pretty this tale. Love it… wishing there was more. Thanks for translating and introducing this beautiful world to me. Thanks for the kind comment. I just forwarded it to the author.